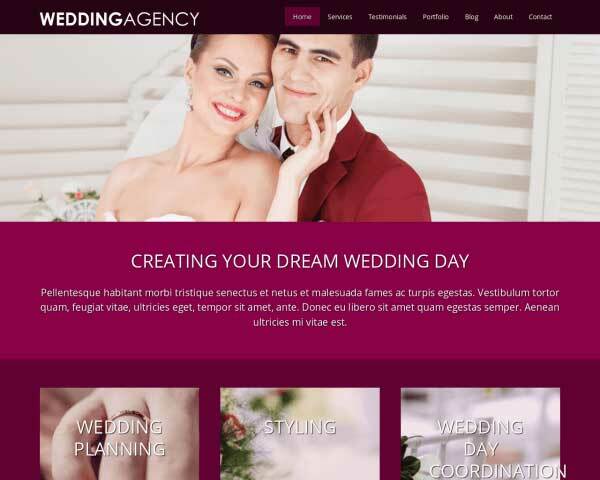 Expand your reach and attract new business through a visually-stunning website built with the Wedding Planner WordPress theme. This website template is set up with all the relevant pages and business features you need to beautifully present your services so you can convert more visitors into clients. 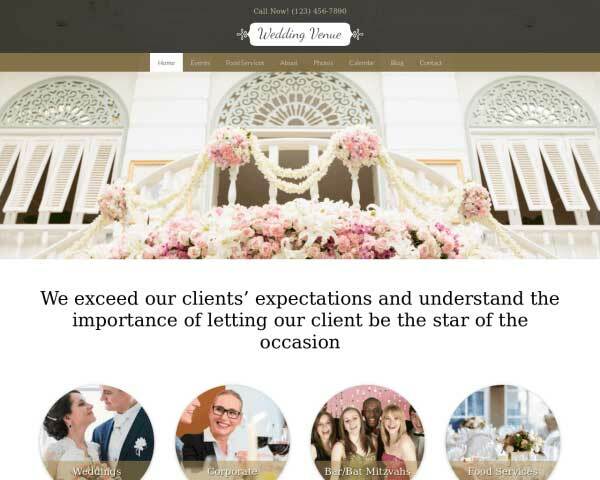 Convey the style and elegance you bring to the table with your wedding planning services through a professional website built with the Wedding Planner WordPress theme. 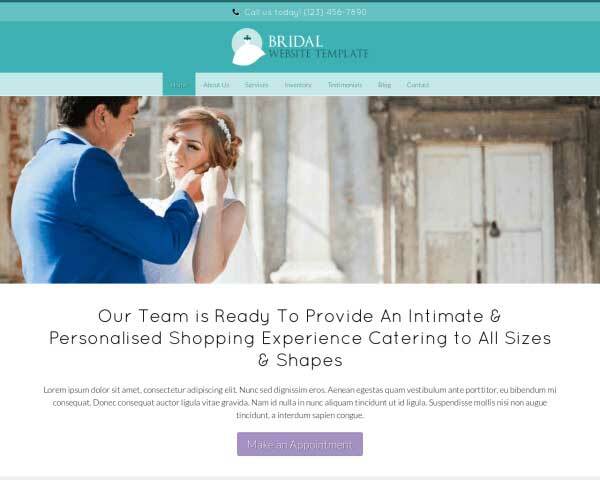 From its stunning full-width background image slider to portfolio pages that show visitors just how you can pull off an unforgettable wedding day, this website template is pre-built with the specific business needs of wedding planners in mind. We've included pages for client testimonials, a company profile, contact details and more, plus a customizable online inquiry form that offers visitors a chance to provide you with details about their needs. All it takes to get your complete website online is to replace the demo content with your own text and photos! The color scheme and page layouts can easily be customized without any coding at all using our visual front-end editor and drag and drop widgets. 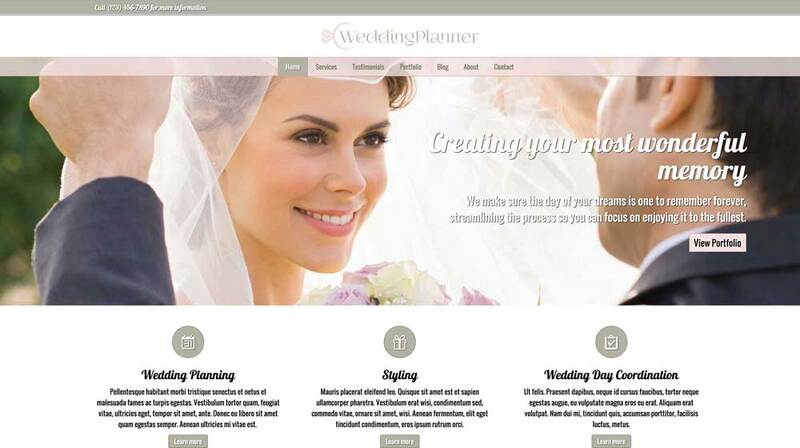 This premium WordPress theme for wedding planners features sleek responsive design, lightbox image galleries, integrated social media options, a built-in SEO manager and more to help you get the most of your online presence. 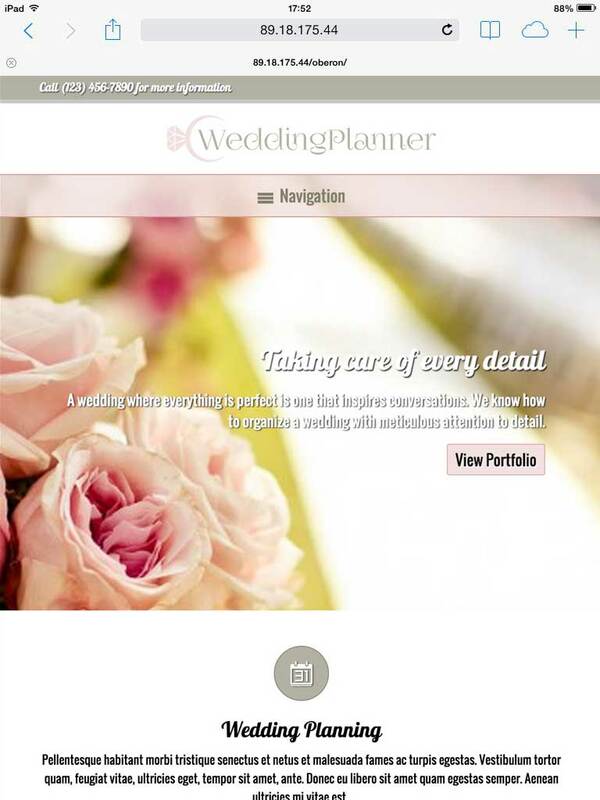 Take a look at the demo site and try it free for three days to see how easy it is to use the the Wedding Planner WordPress theme to grow your wedding consulting business online. 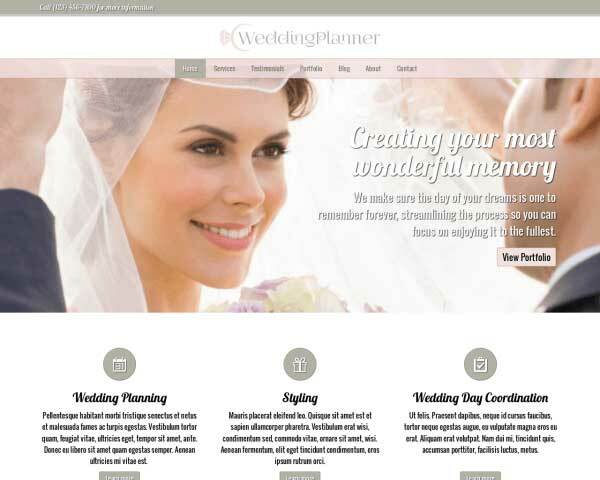 The Wedding Planner WordPress Theme was made for professional wedding planners wanting to take their business to the next level by going online. 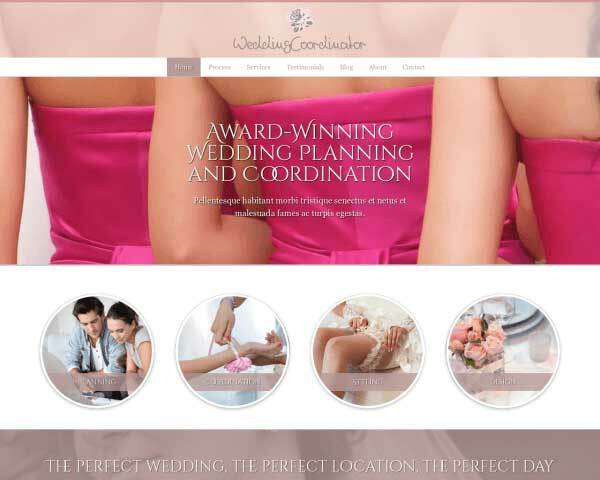 The feature-rich contact page on this WordPress theme for wedding planners includes an integrated Google map and a built-in contact form. 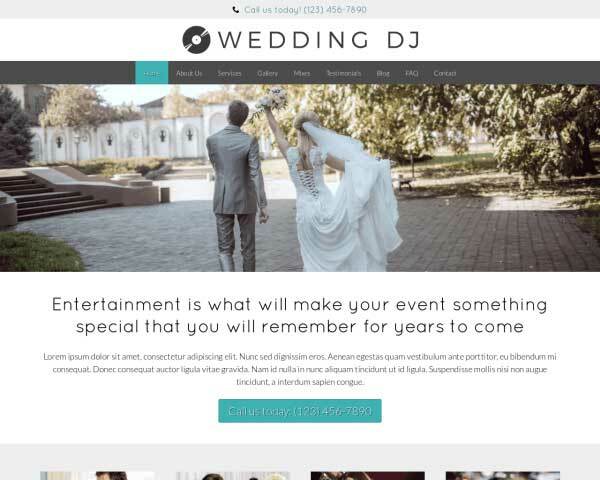 The Wedding Planner WordPress Theme sports a full-page slider. There's no better way than to introduce yourself to clients with maximum "Wow" effect. No website can do without beautiful image galleries. 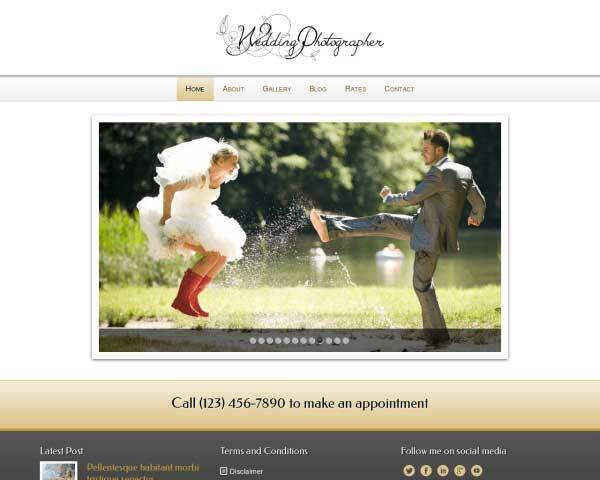 So our Wedding Planner WordPress Theme has the option to create them quickly and simply. No external plugins are required so you're sure they integrate perfectly and symmetrically on every page. Offer quick navigation to detailed project pages with an image and short description of each project on the Projects Overview page. Clicking on any thumbnail links to a page with more information. Encourage prospective clients to take the first step and get in touch with the quote request form. Easily customize the fields and manage submitted forms with our convenient, downloadable overview. 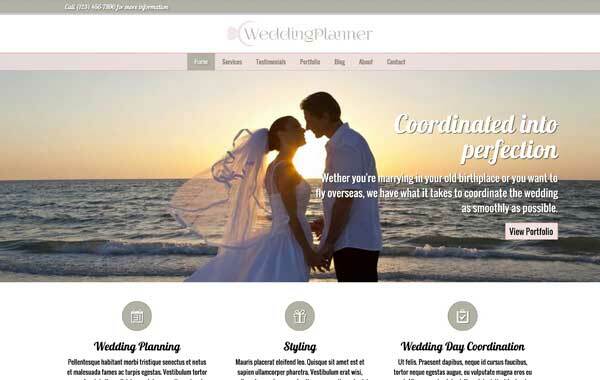 Individual pages are already set up for you to offer detailed information about each of your services on this WordPress theme for wedding planners. A clear service overview let's visitors know immediate where to go if they want to find detailed explanations. Our Wedding Planner WordPress Theme comes with icons for the most popular social media platforms, with no extra plugins required. Make it easy for visitors to follow you online or share your content. Attractively display client feedback with the Wedding Planner WordPress Theme's quote widget. Just paste in your own text and the quotes will be automatically styled with no coding required. 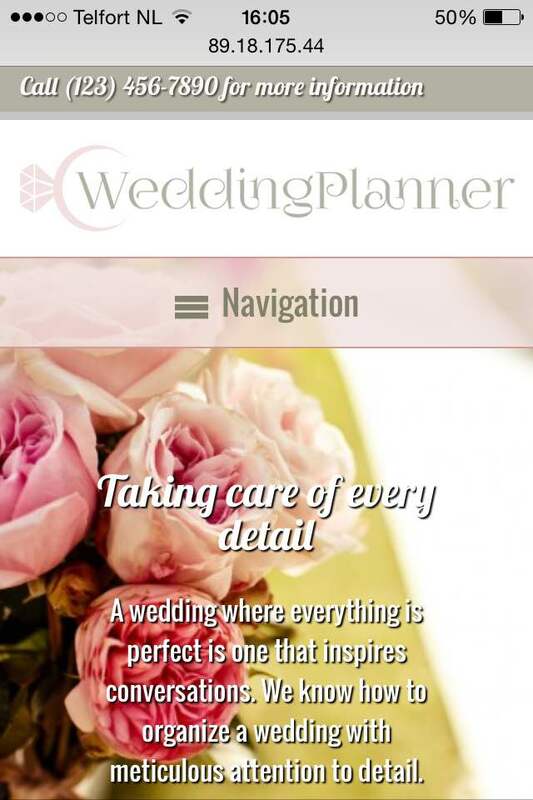 When you build your wedding planning website with the responsive Wedding Planner WordPress theme, a sleek mobile version for smartphones and tablets is part of the package! Absolutely no coding, plugins or extra effort is required — our mobile-optimized design will automatically adjust the layout of your content to display neatly and work perfectly on every screen size. As you add new posts, pages, videos or photo galleries to your website, you can be sure that mobile visitors will enjoy the same professional look and functionality of the desktop version.